Understand the deficiencies with the traditional annual budget process. Learn how to apply unit-level cost consumption rates with sales demand forecasts to project operational expenses and to include strategic and risk mitigation projects in expense projections. Learn how to shift from bottom-up general ledger cost center consolidations to top down financial modeling. There is a shift in emphasis from historical reporting to predictive costing such as capacity-sensitive driver-based rolling financial forecasts, what-if analysis, and marginal cost analysis (e.g., pricing). The annual budgeting process is being criticized as obsolete soon after it is published, prone to gamesmanship, cumbersome to consolidate cost center spreadsheets, not being volume sensitive, and disconnected from the strategy. The challenge is how to resolve these deficiencies. It can be done through driver based expense projections also useful for decision analysis. The annual budget is often perceived as a fiscal exercise done by the accountants that is: (1) disconnected from the executive team's strategy, and (2) does not adequately reflect future volume drivers. The budget exercise is often scorned as being obsolete soon after it is produced, and biased toward politically muscled managers who know how to overstate and "pad" their budget request. To complicate matters, traditional budgets are typically incremented or decremented by a small percent change from each cost center's prior year's spending level. This "use it or lose it" behavior by managers in the last few months of the fiscal year unnecessarily pumps up their prior year's costs and consequently confuses analysis of who really needs how much budget in the coming year. Today organizations are shifting to rolling financial forecasts, but these projections may include similarly flawed assumptions that produce the same sarcasm about the annual budgeting process. Entrepreneurs know the age-old adage, "You need to spend money to make money." Excessively tightening the belt on an organization's spending can jeopardize its success. Rather than evaluating where costs can be cut, it is more prudent to change views and ask where and how the organization should wisely spend money to increase its long-term, sustained value. This involves planning for future expenses, but the annual budgeting and rolling financial forecast process has deficiencies. Four components of the enterprise performance management (EPM) framework can be drawn on to resolve these limitations. 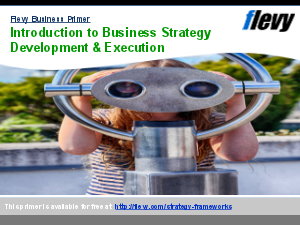 They are a strategy map, a risk management matrix, capital projects, and activity-based costing principles. The first three are project-based and the last for recurring operational expense projections. Ideally, the correct and valid amount of future spending for capacity and consumed expenses should be derived from two broad streams of workload that cause the need for spending - demand driven and project driven. Demand-driven expenses are operational and recurring from day to day. Their requirements are typically from customers. In contrast, project-driven spending (e.g., strategy initiatives, risk mitigation) is nonrecurring and can be from days to years in time duration. How are these two demands on an organization's workload integrated into a budget? Most executive teams request frequent updates and revisions to the financial budget. These are referred to as rolling financial forecasts because the projection's planning horizon may be as much as 18 months to two years beyond the fiscal year-end date. Imagine if you are a CFO or financial controller required to re-process the budget as a rolling forecast quarterly (or even monthly). There are not enough spreadsheets to do it! Only computer automation that integrates several of the methods of the enterprise performance management (EPM) framework, including good predictive analytics, allows an organization to produce valid capacity-sensitive driver-based rolling financial forecasts. Organizations with a formal strategy-execution process dramatically outperform organizations without formal processes. Building a core competency in strategy execution creates a competitive advantage for commercial organizations and increases value for constituents of public sector organizations. You can learn to manage strategy. It is important to include and protect planned spending for strategic and risk projects in capacity-sensitive driver-based budgets and rolling financial forecasts. Those projects lead to long-term, sustainable value creation. Management Accounting? Supply Chain Analysis? Bain Frameworks? Or something else.